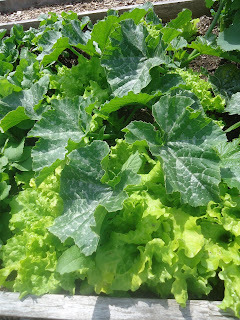 We are a community garden located in Delta, British Columbia. We are passionate about growing food organically. Ladner Seedy Saturday and Garden Expo is back. Our annual event will be held on March 2, 2019 at the All Saints Anglican Church located at 4755 Arthur drive in Ladner. Admission is by donation. We are still accepting vendor registrations for our event. If you have plants, seeds or other garden related products leave a comment below or email me at deltagardener at dccnet.com. This event is a fundraiser for the Ladner Community Garden so we can keep growing for local charities. Have you thought about growing a row of vegetables for the hungry? Its a wonderful way to give back to your community. 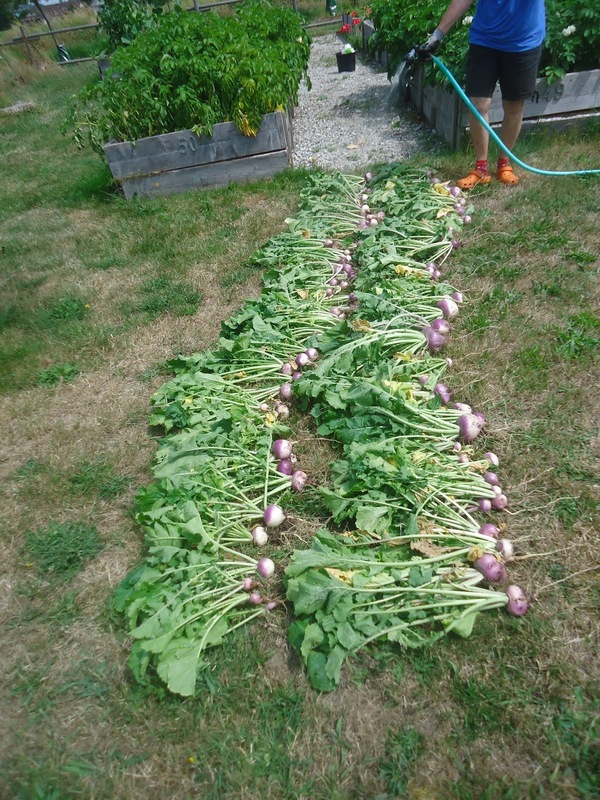 Above is our harvest of turnips being hosed off before dropping them off to a local church. At our event you will be able to learn from garden speakers Amanda Jarrett and Kristin Crouch. Amanda will be planting up vegetables in containers so this will appeal to people who love to garden but have limited space. 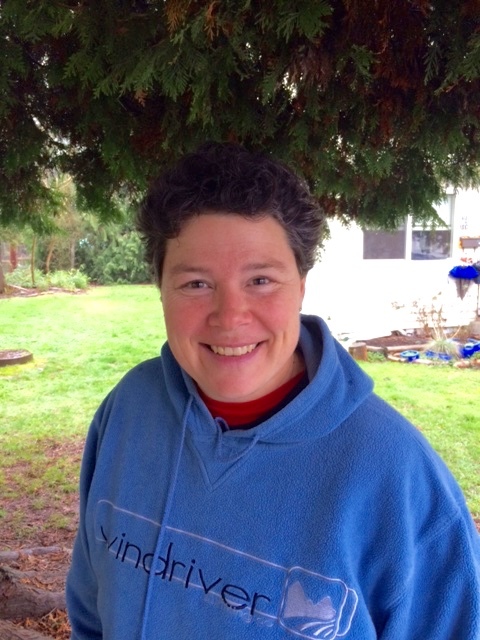 Kristin Crouch will go over how to grow herbs for your garden. Learn how to grow herbs from seed, where to plant them and how to use them in the kitchen. Our seed swap will be in full swing again this year. Bring in small packages of seed to trade. Bring your seed to our seed swap table from 10:00am-10:30am and receive a ticket for each package you drop off. That way you can come back later to check out the array of seeds on the tables. 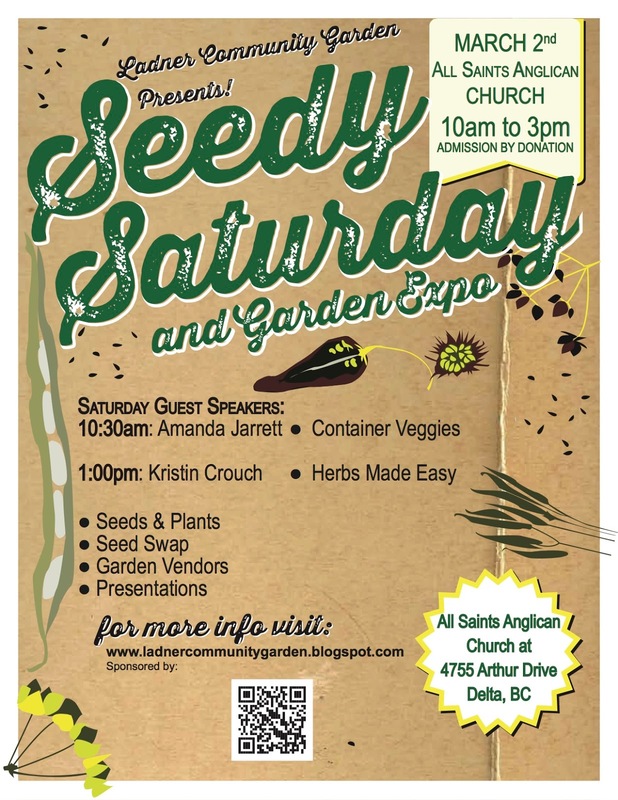 Ladner Seedy Saturday is Only a Few Weeks Away! Yes, it's time for Ladner Seedy Saturday and Garden Expo 2018. 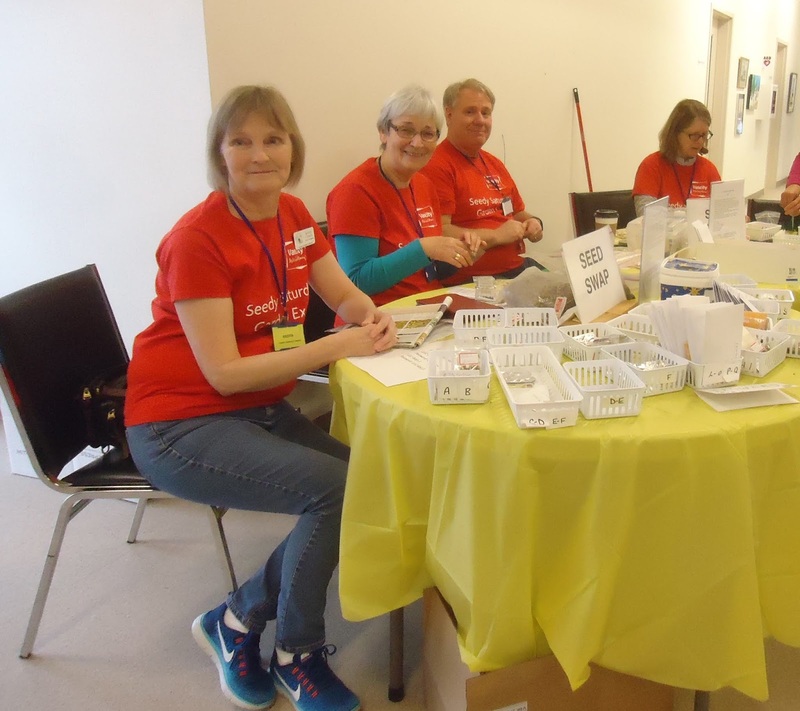 Our organizing committee is busy behind the scenes registering new and returning vendors, booking speakers and organizing the seed swap for the event. Are you a vendor wanting to come to Seedy Saturday? We still have a few tables left for lease. I am excited about our two speakers coming this year. Janis Matson is a well known garden speaker and owns Shoreline Landscape Design. Janis is an instructor at Kwantlen Polytechnic University in Langley and also teaches classes at VanDusen Botanical Garden. Janis will be teaching us how to use ornamental grasses in the home garden. Our next speaker is Randal Atkinson. Known as West Coast Garden's Plant Expert Extraordinaire, Randal is the go to person for design, plant selection, growing and care of plants. 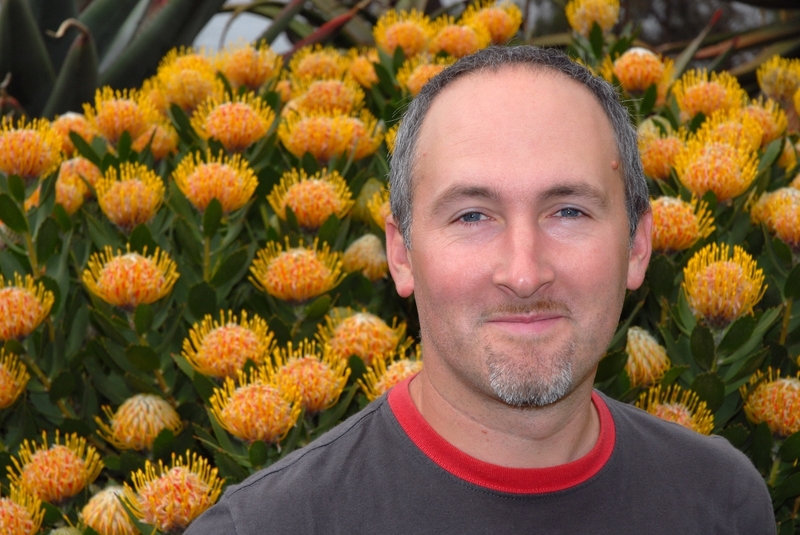 Randal is passionate about gardening and loves sharing his knowledge with the public. 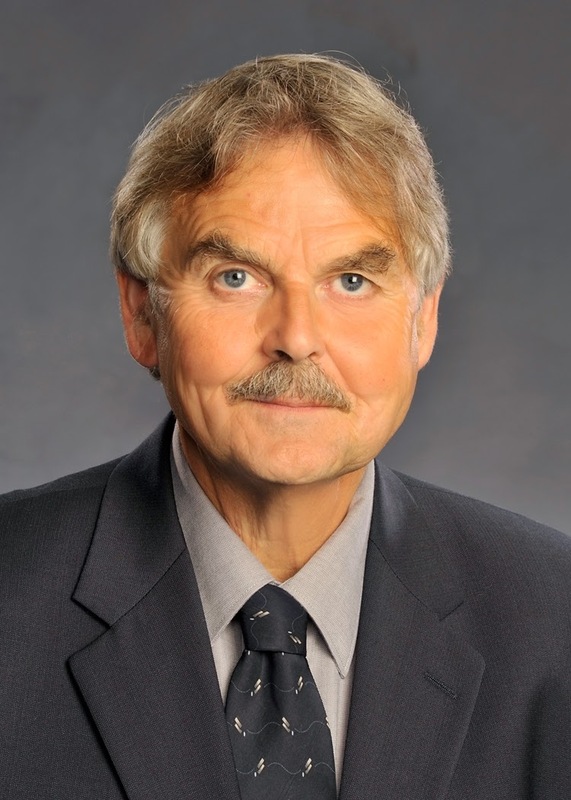 You can often see him teaching classes at West Coast Garden centre in South Surrey. 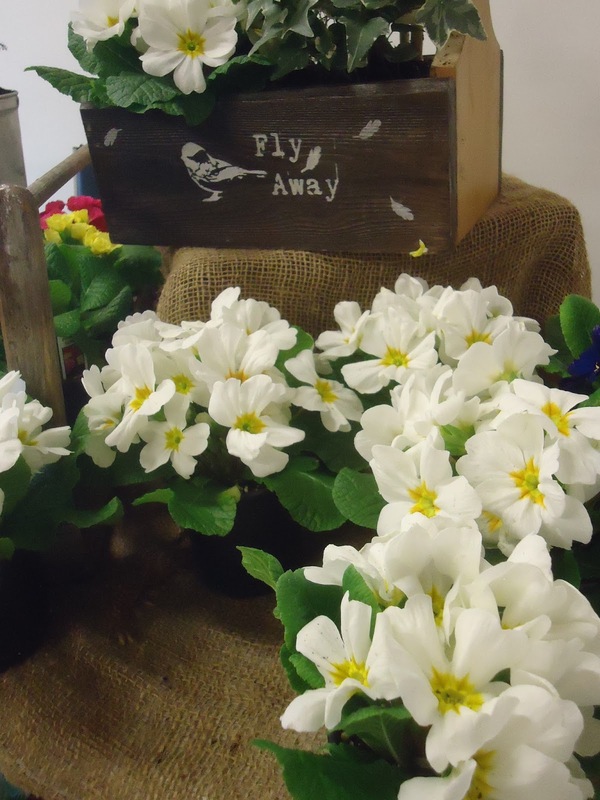 He recently spoke at the South Delta Garden Club where he showed us how to plant up a winter container. At Ladner Seedy Saturday he will show us how to toss away winter and add some spring colour to our containers. After all this rain and grey skies I think we are ready for spring, don't you think? Don't forget to bring your seeds to swap at our seed swap tables. Please bring seeds in small envelopes ready for trading. All seeds must be packaged with the name of plant, the year seeds were harvested, growing information such as colour and height of plant and if the seed is open pollinated or hybrid. Large bulk quantities of seeds will not be accepted this year. The volunteers don't have time to package large amounts of seed during the event which means the seeds are put away for another year and they lose viability. No seeds to trade? We will have a donation box on the table if you would like to choose a package of seeds to try. 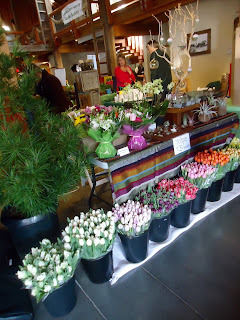 Our vendors are busy getting plants ready for Ladner Seedy Saturday. You will notice this year we moved our event date to March. It's made it a lot easier for us to get plant vendors as there is so much more plant material available. So save the date: March 3, 2018 from 10:00am-3:00pm at the All Saints Anglican Church, 4755 Arthur drive in Ladner. Hope to see you there. Planning is now underway for Ladner Seedy Saturday 2018. It will be held on March 3, 2018 at the All Saints Anglican Church in Ladner. We moved the date to March after experiencing a late spring in 2017. We know a later date means more plants will be available from our vendors. It was pretty hard to find plants for sale when there was still snow on the ground. 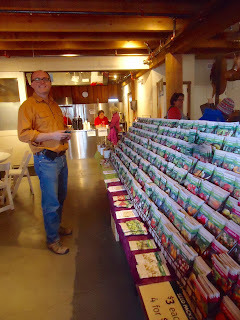 Our seed swap is always the highlight of the event so if you are a seed saver, this is the place to go. Bring your unused seeds from this year to our seed swap. They must be packaged in small envelopes so they can be traded at the event. We can't receive large bagfuls of seed on event day as the volunteers won't have time to sort and package them. It's important to plan ahead and label and pack your seeds before you arrive. Ladner Seedy Saturday is a fundraiser for the Ladner Community Garden which opened in 2011. One of the missions of the community garden is to grow for the local food bank and other charities. This summer we partnered with the Anglican Church in Ladner and donated vegetables grown at the garden towards their community meals for low income people. From beets, carrots potatoes and garlic it made for heartwarming meals this summer and well into the fall. So save the date of March 3, 2018. If you would be interested in being a vendor at our event please comment below. 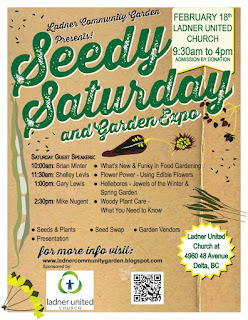 Thank you to all our wonderful vendors, speakers and customers for supporting Ladner Seedy Saturday and Garden Expo this year. We had a successful event with just under four hundred people attending our event. A good time was had by all. The highlight of the event was the arrival of our first speaker, Brian Minter. I cannot tell you how many people called or emailed to ask when he would be speaking. Brian is the guru of gardening here in British Columbia and his audience numbers attest to his popularity. Shelley Levis presented an interesting talk on how to use edible flowers. Did you know all parts of the sunflower are edible, even the roots? She also taught us how to use nasturtiums not only as a trap plant for aphids but in salads as well. 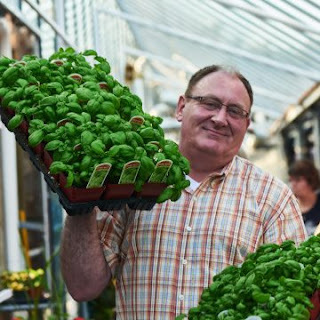 Gary Lewis from Phoenix Perennials arrived with trays and trays of Hellebores and talked about them and their care. The Hellebore Hurrah starts this Friday so be sure to visit Phoenix Perennials to see what the garden center has to offer. Mike Nugent from Bartlett Tree Experts gave an interesting talk about trees and their care. We saw some bad pruning practises and some good so it was a lesson learned for many. Imagine scaling a tree like this one. For the Bartlett crew, this is done everyday. Vendors filled the large hall at the Ladner United Church and at times it was packed with customers. 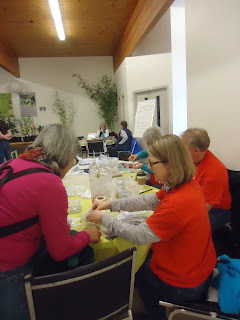 The seed swap was kept very busy and we had interesting seeds traded. New at the seed swap were some interesting Asian vegetable seeds and we had requests for seeds for Lebanese vegetables. I love the diversity that seed sharing brings to our community. I will be testing out the Chinese celery seeds that came in to see how it compares to regular celery. People arrived with seed stories like the one gardener who had been growing her Japanese squash seeds since the 1970's. Now that's a seed we want to preserve. That's what Seedy Saturdays are all about, spreading the word about seed diversity. I want to thank Jim Short and his staff and volunteers at Ladner United Church for hosting our event. The venue was stunning and we loved having our event there. Are You Coming to Ladner Seedy Saturday and Garden Expo 2017? Its less than a week until the Ladner Community Garden Society and the Ladner United Church opens the doors for Ladner Seedy Saturday and Garden Expo 2017. We are still getting requests from vendors and I am working on different layouts to fit everyone in. It looks like we have the Kelpman and Mike and Sandy's Berry farm coming again this year. We have a wonderful lineup of speakers including Brian Minter, Gary Lewis, Shelley Levis and Mike Nugent. The presentations will be in the Ladner United Church's sanctuary and the vendors will be in the celebration hall. Entrance to the event is through the main doors at the front of the church. Parking is always a struggle to find in our small town as its free. Yes, free parking, imagine that. So if you can walk to the event that's great or if you are driving try to use the public parking lots located at the corner of Elliot street and Chisholm street, along the Ladner Memorial Park on 47 avenue and along 47A avenue. Parking in front of the church will be reserved for our speakers so they can haul their precious plants inside for you to buy. Parking in the business area of historic Ladner is limited to three hours but may be long enough for you to hear a speaker and visit the vendors. The ladies of the church will have refreshments so you can grab a coffee or a sandwich as you browse the show. We look forward to having fun next Saturday and hope to see you there. This event is a fundraiser for the Ladner Community Garden Society so that we can help support school gardens in our community. A big thanks goes to the Ladner United Church for hosting our event. We couldn't have done it without your support. Ladner Seedy Saturday and Garden Expo 2017 is only 18 days away. We are finalizing tables and seating with the Ladner United Church, our host this year. Wait until you see our new venue, its stunning inside with room for everyone. There will be lots of seating for our speakers so no rush to get in early. I look forward to meeting some of our new vendors. Below is a list of the vendors we have coming this year. J & J Enterprises-More plants! Don't forget the seed swap. It will be located in the main hall with the vendors. Bring your seeds to trade. Be sure to mark the seed packages with name of plant, when the seed was harvested, colour, height, number of seeds and a bit of growing information if you can. Use small coin envelopes to pack your seeds. Are you wondering how to get to the church? Here are directions. 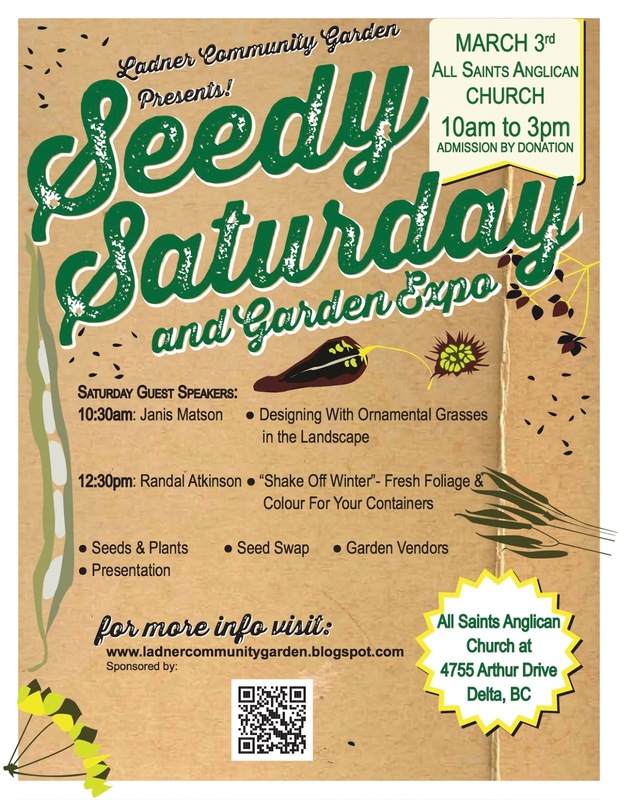 Ladner Seedy Saturday is Less Than a Month Away! 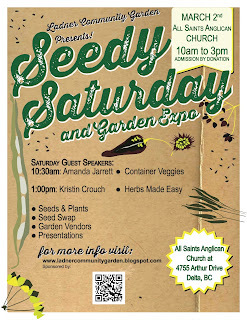 Ladner Seedy Saturday and Garden Expo is less than a month away. I love attending this event as its the start of the garden season. 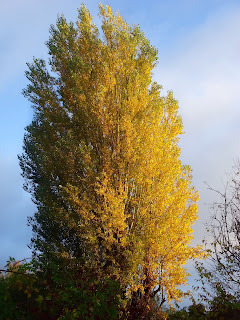 Its at this time that I will think about which seeds to buy and grow in my garden. This year we have Salt Spring Seeds and West Coast Seeds coming with their wonderful selection of seeds. Its time to go through their catalogues to get an idea of what you may want to pick up. February means you can think about planting pac choi in the garden, maybe some salad greens if you are growing in a greenhouse or hoop house. March is the official start in the vegetable garden with potatoes, onions and broad beans being planted. Yes, you don't have to wait until May to get started. You want to get your cool season crops started. Living in the lower mainland of BC we can plant earlier than many other areas. 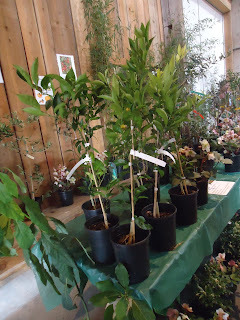 We also have Tropic to Tropic Plants coming with his array of interesting tropical plants. Last year Ray had avocado, paw paw and lemon shrubs. I can't wait to see what he brings this year. I am hoping he has some Camellia sinensis so I can grow more tea. If you are growing in small spaces we have our container expert coming back once again. Robyn, owner of Wild Ginger Designs, is well known in the community for her unique garden containers. 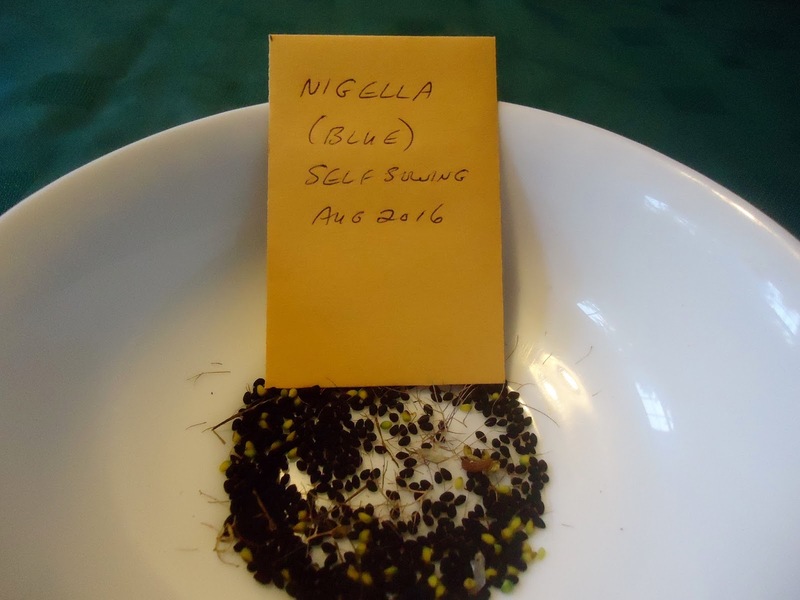 Don't forget to check through your seeds from last year. Is there something you didn't like or do you have too much seed left over? Bring your leftover seeds packaged in small envelopes to trade at our annual seed swap. Be sure to label them with all the growing information such as colour, height, number of seeds and plant name so it can help the next person who plants them. We hope to see you at Ladner Seedy Saturday and Garden Expo 2017. This year we have a new location at the Ladner United Church, 4960 48 avenue in Ladner. I want to thank the church for hosting our event. Ladner Community Garden-Harvest Here We Come! Ladner Seedy Saturday & Garden Expo 2015- A Month to Go! Your Gardens Are Making Me Hungry! Ladner Seedy Saturday- A Huge Success!